At 6:30pm on Friday 25th February, Cereal Box, the latest initiative from Renew Townsville opened its doors to a huge crowd 0f 250+ people in the Townsville CBD. After many weeks of careful planning, design and development the ETC Team (Emerging Townsville Creatives) have pulled off an extraordinary feat. Featuring photography, visual arts, graph work, fashion, jewellery, video projection and hand made ephemera the Cereal Box space also revealed itself to be a warm, inviting and comfortable space to spend a little time catching up with friends, cooking up new ideas and – especially for the ETC Team – a moment to reflect on a significant achievement. With the space in its first phase of construction, Cereal Box offered plenty of room to explore and investigate the talent of local emerging artists. 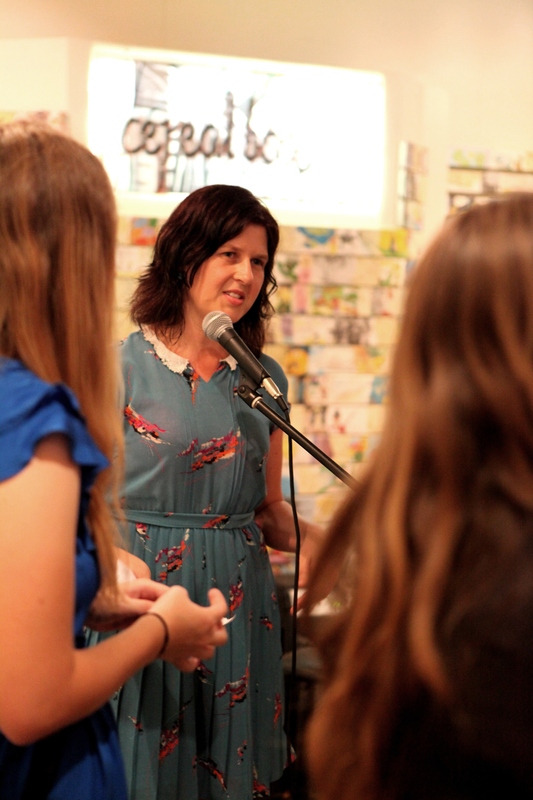 The Renew Townsville team look forward to seeing how the space develops over the coming months! A huge thankyou must go out to the musicians who performed on the night – Elle Graham, Cahill Kelly and Michael Galloway; all the generous people who brought along food and nibblies; Ben Gasser and Peter Bullis for their bar acumen; the numerous folks who disposed of bottles and cups throughout the night; Dave Sutherland for his muscle work on the door; Jess Nickson, Hiedi Hatherell and Kristoff Schrader for their documentation efforts and Aaron Ashley for the last minute beer run to the Herbert Hotel. These are the first images of the evening. We hope to post video from Jess and photos by Kristoff soon. Watch this space! If you have any images from the night you would like to see on this site please contact the Renew Townsville team who will make sure that they find their way onto the site. These images courtesy of Mitch Goodwin & Tali Dunnage-Burke. We’re very excited to announce that our next Renew Townsville space, Cereal Box, will be opening in the former Williams Shoe shop on Friday February 25. ‘Cereal Box’ is Townsville’s newest alternative multi-arts space designed and built from the ground up by ETC (Emerging Townsville Creatives) and eNQue Productions, who have worked tirelessly – through the humidity, the silly season and the perils of Yasi – to create a funky and irreverent zone for emerging artists to exhibit, perform and collaborate on new artistic adventures – or just to hang out, drink coffee and design the future. Cereal Box is an unconventional interpretation of a gallery space with a strong focus on young emerging artists hosting exhibitions, music performances, media displays, workshops and creative exchanges. 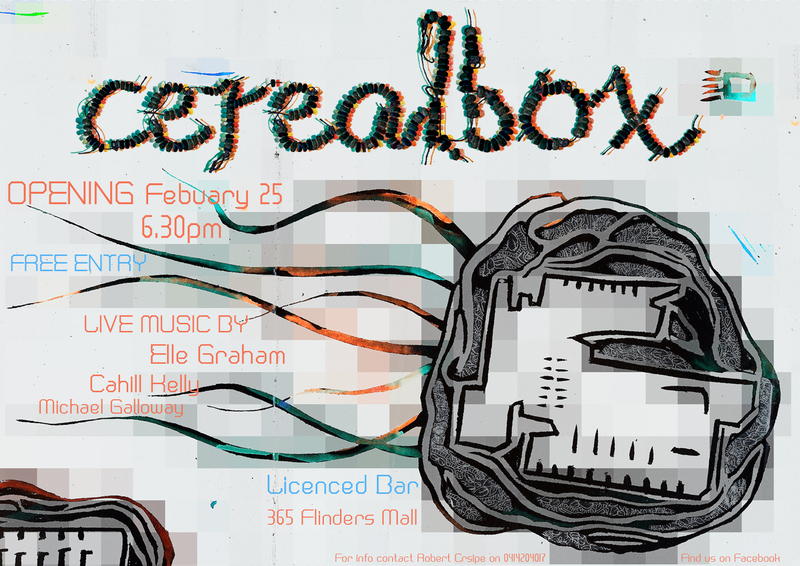 The ETC crew hope that Cereal Box will not only be a venue for people to bring their ideas and creative wares into the CBD but to provide a focal point for young emerging artists to redefine notions of arts practice in an urban setting. Something this way Friday comes …. From 6:30pm December 17 we will be meeting in the OrganiGallery for a few speeches and the chance for the CBD community to meet our first round of artists. Please then join us for a wander through the other spaces and a chance to celebrate all the hard work of Jo, Jan, Jamie and Katelyn (and their exceptionally supportive entourage of helpers) who have put in an amazing number of hours over the last couple of weeks to have their spaces ready for Friday night. After what has been a rollercoaster six months or so of negotiations and careful planning for the Renew TSV team we cannot satisfactorily express how grateful we are of everyone who has helped us get to this critical point in the life of the project. We hope to see you there on Friday night to share a glass of bubbly – and a collective sigh of relief – as we turn our attention to the next phase of the project. 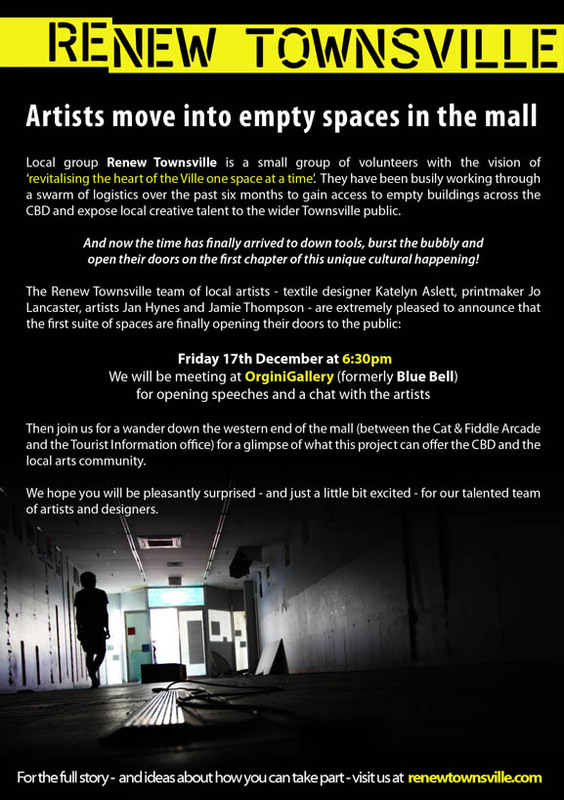 Please, if you know of anyone who has the arts bug and would be inspired by the Renew TSV concept, invite them along on Friday to witness the energy and enthusiasm that the project has engendered in our ever increasing pool of artists, supporters and volunteers. 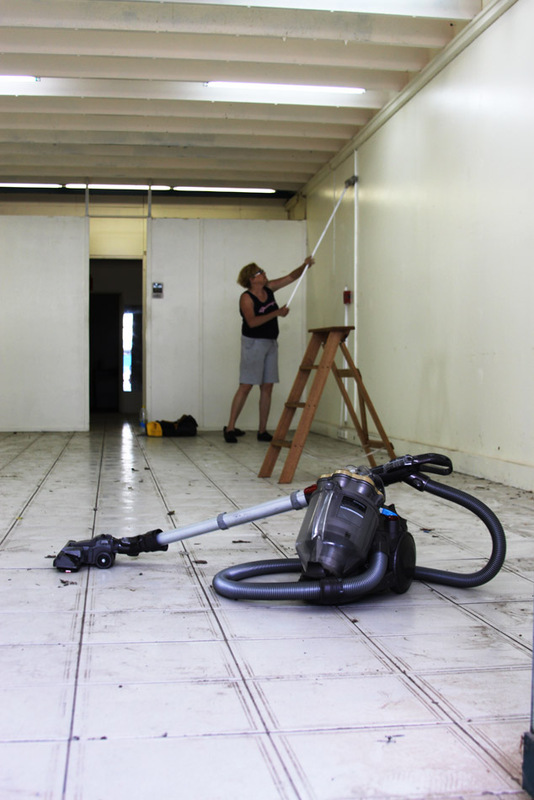 We urgently need volunteers to help the artists and the Renew Townsville team to clean, scrub, strip, rip, dump and turf rubbish and old signage and advertising collateral from the windows and shopfronts along our passage of the Flinders Street Mall. This will be happening from 9am on Sunday 12th December. We will be meeting outside the old Rivers store. We also desperately need window cleaning equipment including blades and scrapers to remove paint and stickers. Of course anything else you think might be helpful, such as your favourite cordless tools, cleaning products, brooms, mops , extension cords, and vacuums. If you know a tradie or someone who can swing a hammer or flick a paint brush please bribe them on our behalf. The more the merrier. So if you have a spare few hours next Sunday morning please come along, we will be cooking up a sausage sizzle and will provide cold water to keep you fed and lubricated. Please pop over to our contacts page if you would like to talk to Donna or Mitch about what’s needed and how you can help.